The expanded LOROL fleet of Class 317/7 Units will be fitted with DC Airco Cab Air Con by Onyxrail on a programme that will deliver an improvement in driver amenities for these units. Onyxrail were delighted to be awarded the contract by LOROL to integrate and install the equipment, which is manufactured by DC Airco of the Netherlands. DC Airco equipment is fitted as an aftermarket enhancement to many fleets both in the UK and internationally it provides a real uplift in driver comfort and amenity. In addition to Class 317/7 DC Airco equipment has recently been fitted by Onyxrail to Class 323. For this batch of Class 317’s a number of enhancements to the original design will be incorporated that reflect the ongoing development of the product to withstand the harsh electrical environment often, but perhaps uniquely seen in the UK. DC Airco equipment is low power high performance equipment that is capable of providing comfort on the hottest of days, even if the vehicle has previously been stabled south facing. 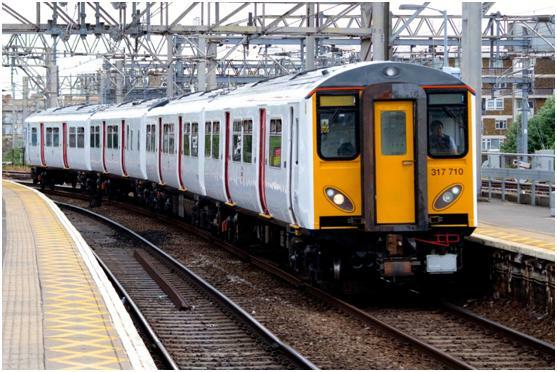 Kevin Lane, managing director of Onyxrail, said: "We were delighted to be selected to support LOROL in the fitment of Cab Air Conditioning for their extended Class 317 fleet." He added: "The role of Onyxrail as Main Contractor provides our UK clients with a true turnkey service where a comprehensive project is delivered from concept to warranty provision." Klaas Schimme, managing director of DC Airco, said: "Winning this order is excellent news for all involved, we are certain that this equipment will deliver the safe and cool working environment that drivers need. We are also delighted to have recently delivered equipment for clients that have just won the Queens Award for Enterprise 2016 for their Crewsheild safe havens. This broad range of product applications underlines the versatility of DC Airco equipment, which can be found in the most arduous environments worldwide." Ben Palmer, West Anglia fleet manager of LOROL, said: "We are delighted that we will soon be able to offer our drivers the conditioned driving environment they need and deserve. This will be a huge step towards being able to standardise the fleet equipment. The benefiting units were pulled from storage to fill the requirement of LOROL’s operation on the West Anglia Inner routes, and have needed a whole swath of modifications, this is by far the largest and most important, and we will be looking forward to the coming summers with a higher degree of confidence."